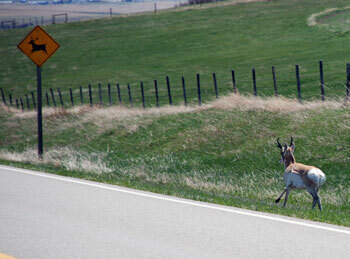 We were quite surprised to see this animal running on the side of the road near our home. 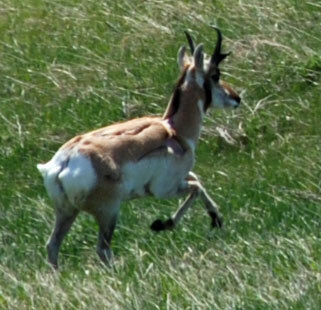 He was having difficulty jumping over the fence as they do not jump higher than 1m but are the fastest animal in North America. 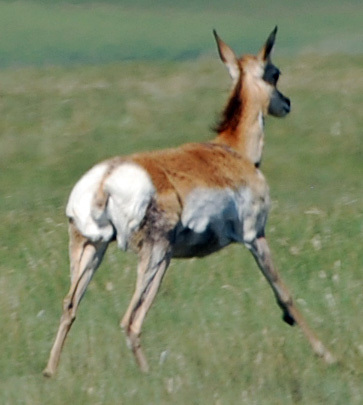 The Pronghorn is not a true antelope and has no near living relatives. 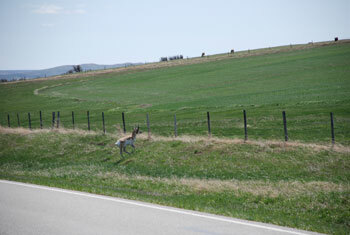 It is a uniquely North American species, unlike the deer, moose, sheep, and bison which all migrated from Asia. 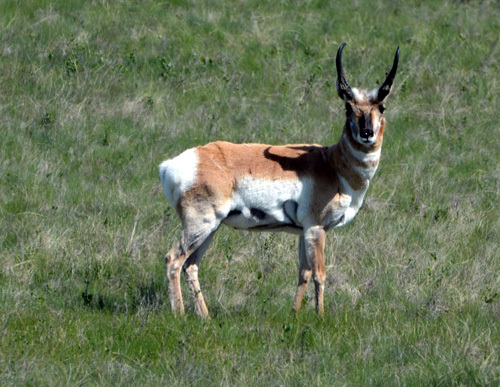 Pronghorns inhabit the plains, deserts, and foothills of North America. 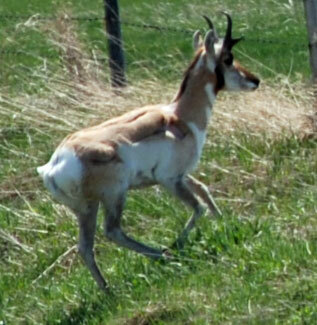 They are very rare in the foothills of the Canadian Rockies, but are occasionally seen near Police Outpost Provincial Park (about about 20km as the crow flies from our home). 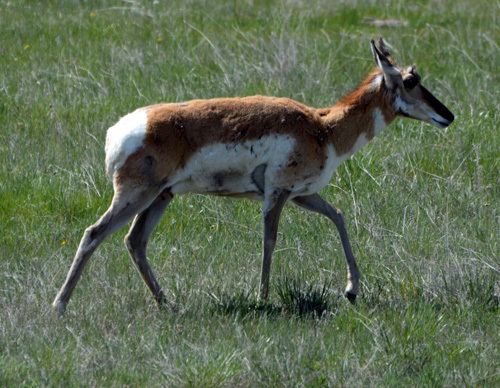 (Mammals of the Canadian Rockies by George W. Scotter and Tom J. Ulrich).